Put cabbage leaves for a few minutes in boiling water, take out and cool. 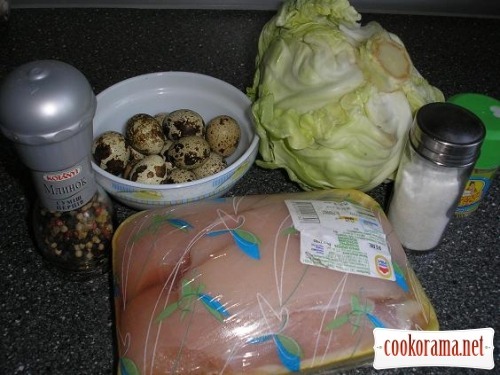 Wash chicken fillet, dry it, cut in strips a bit wider, than quail egg. Beat strips of meat, salt and pepper to taste. Spread cabbage on each strip (you can also salt it). 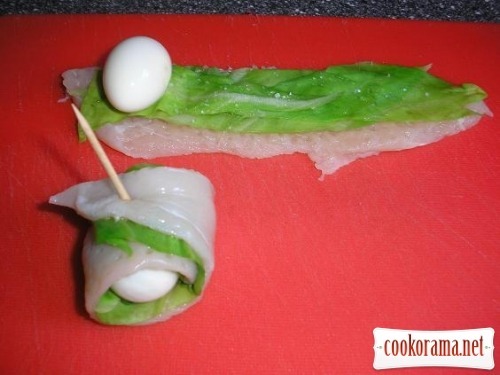 Put peeled quail egg on the edge of strip, make roll and stick with a toothpick. 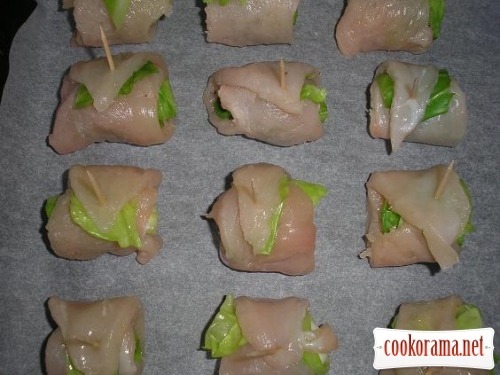 Spread rolls on covered with baking paper pan. Bake at 180 C for 30-40 min. 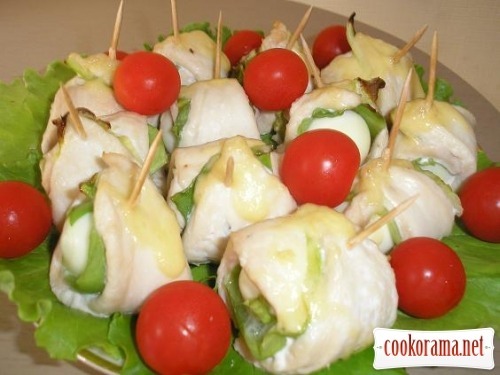 In a few minutes before readiness sprinkle with grated cheese. 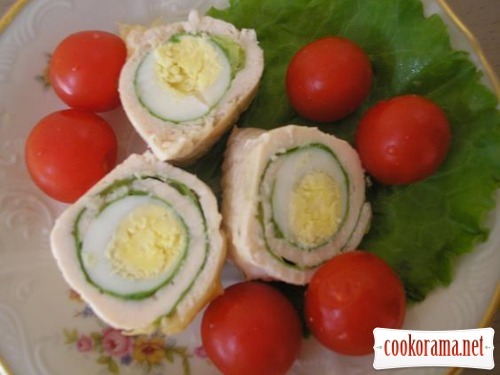 Top of recipe "Peacock eye"